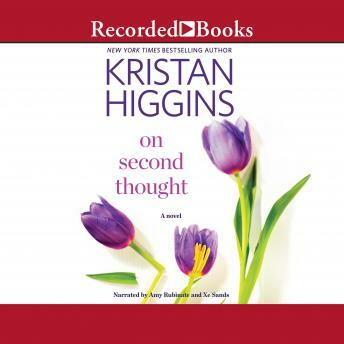 Following in the footsteps of her critically acclaimed novel If You Only Knew, multi-bestselling author Kristan Higgins returns with a pitch-perfect look at the affection-and the acrimony-that binds sisters together. Ainsley O'Leary is so ready to get married-she's even found the engagement ring her boyfriend has stashed away. What she doesn't anticipate is for Eric to blindside her with a tactless breakup he chronicles in a blog-which (of course) goes viral. Devastated and humiliated, Ainsley turns to her half-sister, Kate, who's already struggling after the sudden loss of her new husband. Kate has always been so poised, so self-assured, but Nathan's death shatters everything she thought she knew-including her husband-and sometimes the people who step up aren't the ones you expect. With seven years and a murky blended-family dynamic between them, Ainsley and Kate have never been overly close, but their shared sorrow dovetails their faltering worlds into one. Despite the lifetime of history between them, the sisters must learn to put their differences aside and open their hearts to the inevitable imperfection of family-and the possibility of one day finding love again. This was a terrific book!